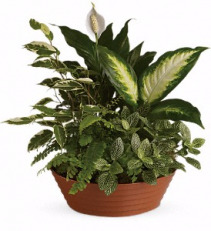 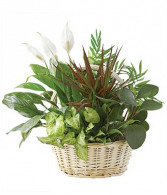 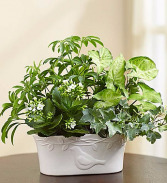 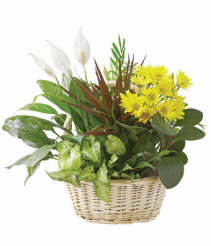 The Living Spirit™ Dishgarden is a wonderful display of our finest plants to honor the life of your loved one. 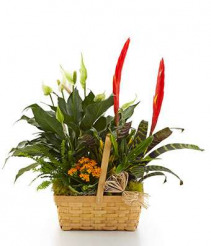 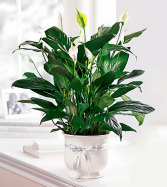 A palm plant, peace llly plant, dracaena plant and a philodendron plant are lush and lovely accented with stems of Peruvian lilies. 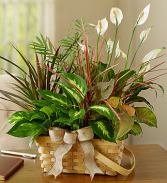 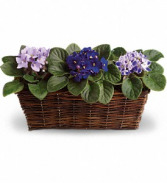 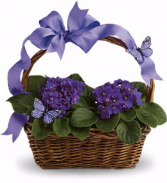 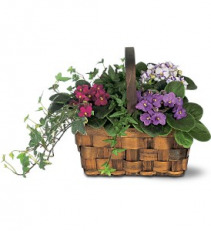 Our Harvest Delight Dish Garden is a luscious gift, sure to bring a smile to the recipient's face. Add a unique touch to any house or desk with this hand delivered indoor succulent garden arrangement on sale! 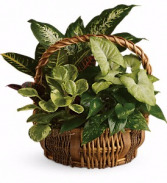 Do you have a friend, coworker, or loved one who is busy, or simply lacks a green thumb? 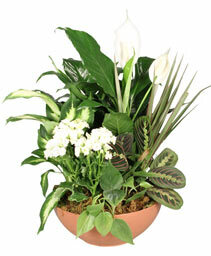 Send something low maintenance with different types of plant varieties they can enjoy stress free. 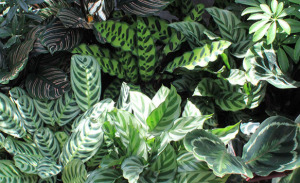 They require little to no work! 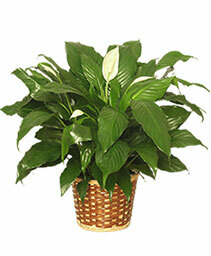 It will add a breath of fresh air to their favorite space whether at home or the office. Sending a succulents terrarium can be the perfect gift for anyone who needs easy to care for plants. Give a stylish gift of beauty that's brings the outdoors in and is easy to take care of too. 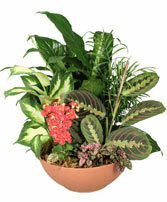 Let us make a beautiful dish garden from scratch with plants we have on hand in our greenhouses! 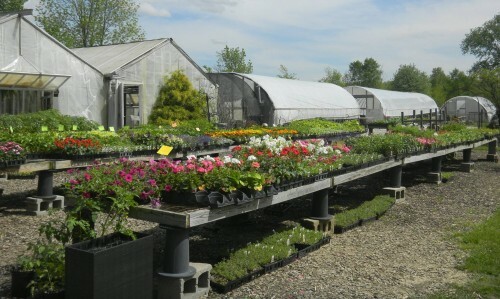 Not only are we a flower shop, but we are a greenhouse! We make ALL our planters by hand in our shop as orders come in. 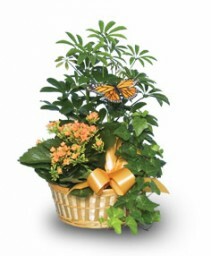 This way we can make up something for you in YOUR price range! 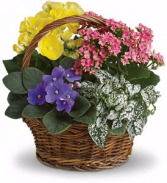 Call or stop in and we can show you what we have on hand, and discuss what we may be able to get in specially for you from one of our local suppliers! 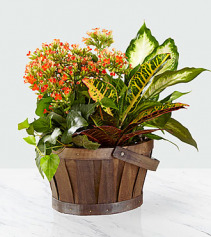 We make up a planter with half plants, and the other half a floral arrangement. 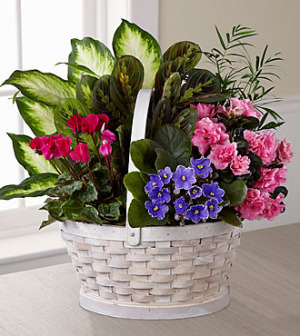 The basket looks like everything is one arrangement made all together!